Another great weekend of racing around the world for MPG Ahletes. We had some racing at the Trieste Half Marathon in Italy, at the Half Ironman Triathlon in Croatia, others racing at suncity for Sun city sprint and ultra triathlons. We also had a very good representation at the Jacaranda 100 cycle challenge and some opted to race at the Colgate 32km in Johannesburg. On the Saturday the Leicester Family races at the Nissan Trailseekr MTB Series. Good international racing this weekend at 70.3 Marbella, Spain. Carlos and Luis had to fight very strong gusty winds on the bike course making it one of the hardest 70.3 Bike courses in the world. Well done! Fantastic weekend of racing in Port Elizabeth for the Ironman SA African Champs. The athletes were comfronted with some strong easterly winds on the bike coming back to town and hot conditions on the run. We had MPG athletes racing from Germany, Dubai, UK and SA. Well done to all first timers! Lots of racing around the world this past weekend for the MPG athletes. We had a fantastic 3nd overall female for Johandri Leicester at the Irene Modern Ultra Athlete, well done! you keep inspiring all of us with your great results accross all disciplines!. We also had some of our Italian and South African Athletes participating at the iconic Paris and Rome Marathon races. Well done to Andrea, Roberto, Helen, Jenna and Simon. 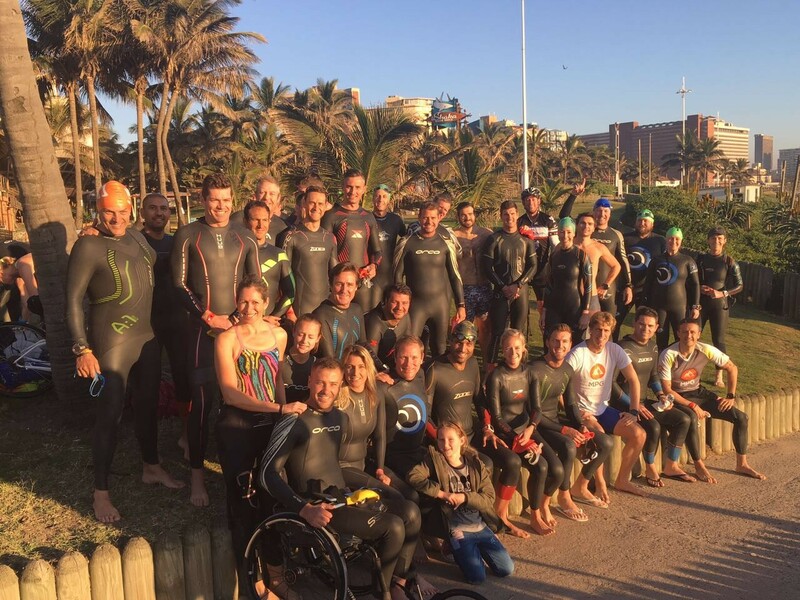 Some of the Johannesburg athletes raced at the Redhub Event this weekend at the cradle. well done to all! Now Ironman SA week is here! Well done to all our MPG athletes that participated today at the 2 Oceans Half and Ultra Marathon and the OMTOM this past weekend. Some PB's at the Ultra with a few sub 4hrs! Well done!!!! Next on the calendar Ironman SA! Great Weekend around the world for MPG Athletes. we had two podiums at the Durban Ultra with Nic Chapman and Tommy Hanekom, well done!. we had quite a few athletes currently training for Ironman SA doing the Hot Legs 32, the Cape Vaal Gate Marathon and Tygerberg 30km. Well done to those doing their first 32km run! We also had Grant Lapping doing the hard trail race Addo Elephant run with 44km of gruelling terrain. Internationally we had Jono Dickinson racing in Abud Dabi at the ITU race, mixing it up with the winner, South African Henri Schoeman. Impressive results at Xterra in Grabouw this past wekeend with a 3rd overall in the ladies for Johandri Leicester and 2nd age group for Xanri Haak on the lite race. We also had a good representation at the Berg en Dale Road race on Saturday. Quite a few athletes enjoyed the Cango Marathon, well done on a very nice event. On sunday we have quite a few athletes, runners and triathletes training for ironman racing on the Deloitte Pretoria Half and Full Marathon and on the Pietermaritzburg Marathon. Internationally we had Carlos Valverde racing the Trail Sierra Elvira, well done to all!